#15 ultramarathoner. #28 runner. 5th Longest personal run of this race this month. #3 ultramarathoner. #4 runner. 7th Longest personal run of this race this month. #20 ultramarathoner. #37 runner. 6th Longest personal run of this race this month. Some trail running I wasn’t prepared for. Excuse to get new running shoes! #67 runner. 6th Longest personal run. #7 ultramarathoner. #9 runner. Longest personal streak grows to 191 days at 3.92 miles/day. #13 ultramarathoner. #20 runner. Longest personal streak grows to 586 days at 3.25 miles/day. #4 ultramarathoner. #5 runner. 5th Longest personal run of this race. Longest personal streak grows to 483 days at 5.10 miles/day. #6 ultramarathoner. #11 runner. 3rd Longest personal run of this race this month. Extends streak to 5 days. #1 ultramarathoner. #2 runner. 3rd Longest personal run of this race this month. #12 ultramarathoner. #29 runner. Longest personal streak grows to 114 days at 4.68 miles/day. #5 ultramarathoner. #13 runner. 2nd Longest personal run of this race this month. 2nd Longest personal streak grows to 113 days at 4.63 miles/day. I would love to visit Kiawah Island some day! Thanks @kps We hope to meet you this year at Millinocket! We are all signed up. EZ RW miles in 68°, muggy weather, with a few moon glimpses through the clouds, and about 23 drops of rain. #2 ultramarathoner. #6 runner. 5th Longest personal run of this race this month. Extends streak to 8 days. #15 ultramarathoner. #28 runner. 2nd Longest personal run of this race this month. #4 ultramarathoner. #5 runner. Longest personal streak grows to 482 days at 5.08 miles/day. Taking in the view from Three Sisters Gazebo. #22 ultramarathoner. #32 runner. Back after 9 days. Walk/jog to town square and back. You're at Cadillac Summit Loop! #14 ultramarathoner. #22 runner. 7th Longest personal run of this race this month. Full, will be there first of three this year! #13 ultramarathoner. #20 runner. Longest personal streak grows to 585 days at 3.25 miles/day. #5 ultramarathoner. #13 runner. 2nd Longest personal streak grows to 112 days at 4.61 miles/day. #7 ultramarathoner. #9 runner. 3rd Longest personal run of this race this month. Longest personal streak grows to 190 days at 3.91 miles/day. #12 ultramarathoner. #29 runner. Longest personal streak grows to 113 days at 4.71 miles/day. BH Trails. Mud, puddles and glaciers! #6 ultramarathoner. #11 runner. 3rd Longest personal run of this race this month. Extends streak to 4 days. #9 ultramarathoner. #12 runner. 8th Longest personal run of this race this month. Very EZ workout early this morning, nursing a sore damnstring and trying to not have it become a major problem. #2 ultramarathoner. #6 runner. Extends streak to 7 days. #16 ultramarathoner. #27 runner. Longest personal run of this race this month. Longest personal streak grows to 274 days at 2.91 miles/day. #16 ultramarathoner. #27 runner. Longest personal streak grows to 273 days at 2.90 miles/day. #6 ultramarathoner. #11 runner. 8th Longest personal run of this race this month. #7 ultramarathoner. #9 runner. Longest personal streak grows to 189 days at 3.90 miles/day. #13 ultramarathoner. #20 runner. 9th Longest personal run of this race this month. Longest personal streak grows to 584 days at 3.25 miles/day. Planned on my last loop road walk. Discovered the PLR is open! (except for Cadillac). Decided to do the museum in the streets instead. The picture shows an area formerly owned by a famous person. Who was that person? What was the area called? What occupied this space? #64 runner. 9th Longest personal run of this race this month. I'm going to go with Beatrix Farrand. Her family's estate here at Reef Point was dismantled in the 1950s but the gardener's cottage still exists. @mdijim How about that? @4000footer You win Double Jeopardy with that one. #62 runner. 3rd Longest personal run of this race this month. #4 ultramarathoner. #5 runner. 7th Longest personal run of this race this month. Longest personal streak grows to 481 days at 5.08 miles/day. #31 ultramarathoner. #57 runner. 4th Longest personal run of this race this month. Pre-dawn RW workout in 35° temps, under the light of another huge moon with wispy clouds that floated by now and again. Nice. #2 ultramarathoner. #6 runner. 4th Longest personal run of this race this month. Extends streak to 6 days. #5 ultramarathoner. #13 runner. Longest personal run of this race this month. 2nd Longest personal streak grows to 111 days at 4.64 miles/day. #2 ultramarathoner. #4 runner. Extends streak to 6 days. #12 ultramarathoner. #29 runner. Longest personal streak grows to 112 days at 4.73 miles/day. A walk at night in a suburb near the Mattapan line, with a chorus of chirping frogs in the distance. #20 ultramarathoner. #37 runner. 8th Longest personal run of this race this month. Must be spring peepers. They are about an inch long and getting ready to mate. The song of spring. #16 ultramarathoner. #27 runner. 5th Longest personal run of this race this month. Longest personal streak grows to 272 days at 2.90 miles/day. #7 ultramarathoner. #9 runner. 10th Longest personal run of this race this month. Longest personal streak grows to 188 days at 3.89 miles/day. #1 ultramarathoner. #2 runner. 8th Longest personal run of this race this month. #12 ultramarathoner. #29 runner. 6th Longest personal run of this race this month. Longest personal streak grows to 111 days at 4.75 miles/day. Morning and afternoon walks combined. #5 ultramarathoner. #13 runner. 2nd Longest personal streak grows to 110 days at 4.61 miles/day. #13 ultramarathoner. #20 runner. Longest personal streak grows to 583 days at 3.25 miles/day. EZ RW workout in 39° temps, under the bright light of a near-setting, near-full moon. Nice. #2 ultramarathoner. #6 runner. 6th Longest personal run of this race this month. Extends streak to 5 days. #4 ultramarathoner. #5 runner. Longest personal streak grows to 480 days at 5.08 miles/day. #9 ultramarathoner. #12 runner. 5th Longest personal run of this race this month. #6 ultramarathoner. #11 runner. 3rd Longest personal run of this race this month. #21 ultramarathoner. #33 runner. 6th Longest personal run of this race this month. #2 ultramarathoner. #4 runner. Extends streak to 5 days. Walk around down town. Saw crocuses blooming. #12 ultramarathoner. #29 runner. Longest personal streak grows to 110 days at 4.75 miles/day. Looks great. Got to go there some day. Headed there in four weeks. Any “can’t miss” beaches or activities to recommend? #13 ultramarathoner. #20 runner. Longest personal streak grows to 582 days at 3.25 miles/day. #4 ultramarathoner. #5 runner. 9th Longest personal run of this race this month. Longest personal streak grows to 479 days at 5.09 miles/day. Goal is to run 20 miles this week. 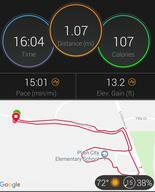 Half marathon in less than 4 weeks! #67 runner. 3rd Longest personal run of this race this month. #7 ultramarathoner. #9 runner. Longest personal streak grows to 187 days at 3.89 miles/day. #64 runner. 5th Longest personal run of this race this month. #10 ultramarathoner. #56 runner. Longest personal streak grows to 972 days at 5.28 miles/day. #1 ultramarathoner. #2 runner. 10th Longest personal run of this race this month. #5 ultramarathoner. #13 runner. 4th Longest personal run of this race this month. 2nd Longest personal streak grows to 109 days at 4.64 miles/day. EZ early RW workout in 39° temps with wind and some impressive wind gusts. #2 ultramarathoner. #6 runner. Extends streak to 4 days. #11 ultramarathoner. #15 runner. 2nd Longest personal run of this race this month. #2 ultramarathoner. #4 runner. Extends streak to 4 days. #16 ultramarathoner. #27 runner. Longest personal streak grows to 271 days at 2.89 miles/day. #15 ultramarathoner. #28 runner. 3rd Longest personal run of this race this month. Extends streak to 11 days. #7 ultramarathoner. #9 runner. Longest personal streak grows to 186 days at 3.89 miles/day. Walk on cold, wet afternoon, probably typical of mid-April in the White Mountains. Mad River lived up to its name today. #20 ultramarathoner. #37 runner. 7th Longest personal run of this race this month. Extends streak to 6 days. #1 ultramarathoner. #2 runner. Longest run in race this month. 7th Longest personal run. Great finish today @JohnT Amazing that you had to run an additional .6 mile! That’s the distance my watch said! Congratulations! Not the best weather but I’m sure it was wonderful to be part of it! You definitely earned it. #12 ultramarathoner. #29 runner. Longest personal streak grows to 109 days at 4.77 miles/day. A lot of walking while volunteering in the start corrals at Boston today - had a great time helping thousands of runners get on their way. #2 ultramarathoner. #6 runner. 10th Longest personal run of this race this month. #4 ultramarathoner. #5 runner. Longest personal streak grows to 478 days at 5.09 miles/day. #13 ultramarathoner. #20 runner. 2nd Longest personal run of this race this month. Longest personal streak grows to 581 days at 3.25 miles/day. #5 ultramarathoner. #13 runner. 2nd Longest personal streak grows to 108 days at 4.61 miles/day. #16 ultramarathoner. #27 runner. 4th Longest personal run of this race this month. Longest personal streak grows to 270 days at 2.88 miles/day. #10 ultramarathoner. #56 runner. 4th Longest personal run of this race this month. Longest personal streak grows to 971 days at 5.29 miles/day. #15 ultramarathoner. #28 runner. 5th Longest personal run of this race this month. Extends streak to 10 days. #15 ultramarathoner. #28 runner. 2nd Longest personal run of this race. Extends streak to 9 days. #20 ultramarathoner. #37 runner. 6th Longest personal run of this race this month. Extends streak to 5 days. #18 ultramarathoner. #26 runner. 9th Longest personal run of this race this month. #4 ultramarathoner. #5 runner. 4th Longest personal run of this race this month. 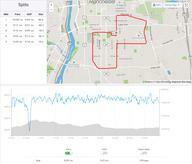 Longest personal streak grows to 477 days at 5.09 miles/day. Banner weekend for you @kdw Lot of snow on those peaks. #67 runner. Back after 7 days. 6th Longest personal run. #12 ultramarathoner. #29 runner. 2nd Longest personal run of this race this month. Longest personal streak grows to 108 days at 4.80 miles/day. Was that a bear that Trisha hit with her fastball at the end? @ZombieChop Fun book to read. @4000footer. King toys with us by never really saying. Since the guy who found her could see it too, it had to be something real and not another hallucination. Writings about the book tend to suggest it was a bear. #13 ultramarathoner. #22 runner. 2nd Longest personal run of this race this month. PLR from the crazy corner to Hunters Brook and back. The picture is as close as I could get to the bridge which carries the PLR over the Dane Farm Access Road built by JDR Jr. in 1941 as the "last link" in the PLR according to Paul S. Richardson. #64 runner. 6th Longest personal run of this race this month. Thanks for sharing, and for doing this, @JohnT . Will incorporate it in next social media share. Just shared this link on the Facebook group page - good luck on the training and the fundraising, @JohnT ! Does snow removal count? Had to use my pickmattock to break a path through the wall of ice left by the plow. It does if your walking back and forth clearing! @CaptDave Thanks. Next time I'll turn on the pedometer. Sorry didn't see this earlier, @mdijim , but we earlier told @RangerMo that half hour of shoveling equals 1 mile. Do the miles we’ve logged after December 31 count for this next extension or things in 2019 virtual race? In case anyone was wondering, I am taking at least a week off from running to deal with some nagging injuries. I’m logging some bike time on the trainer to burn some energy! I hope you'll heal quickly! Rest is sometimes the best mender; but probably the hardest thing for a runner to do. Start the new year off fully healthy! What's the new end date for the Virtual? April 10, blog post coming shortly with details. As 2018 winds down, looks like time is running out for #moose - see latest team spreadsheets uploaded to the Facebook group page: https://www.facebook.com/gr... As of 4 p.m. today, #lobster ahead at 616.3 miles, with #moose lagging at 476.7 miles. Team members have until 11:59 p.m. Dec. 31 to log miles. A new challenge and optional medals for 2019 will be announced soon, as this race has been extended to April 10. Happy New Year everyone! I just found my medal today, and remembered that I forgot to sign up! Good thing for the memory of Strava! You can backdate as far back as July 20, or just go forward, at least 100 days into 2019, April 10! Are my fellow #moose hibernating??? @mak321 - you are laying down the challenge! Announcing the winners of the gift giveaway drawing: @Turtlerunner5 won a an autographed copy of our Hiking Acadia National Park guide; @HeleneL @JABandMom @JohnT @Ghost @MattK @Beachbug and @MichelleS each won an LL Bean gift card; @HPLPrez won a Gift MDI gift card; @Shellperry won a gift certificate from SK Tours; and @SarahBG won a gift certificate from Moose Drop In. For every other virtual racer, here's our gift to you: This virtual race has been extended to April 10, 2019 - the 100th day of the New Year. More details to come about the 2019 challenge and optional medals. Happy virtual racing and happy holidays, from @AOMM and @4000footer ! Thank you! Both for the gift certificate and extending the race! Have a Happy Holiday and thank you for making this so much fun to be a part of!!! That is fantastic! Thanks for organizing this virtual run. It has really motivated me to up my game. So excited to hear that it's fun and challenging for @Shellperry and @JohnT to be part of the virtual race! Happy Holidays to all! I am super excited about the gift card. Thank you so much. Already know what I am going to get. Merry Christmas. Glad to know you know what you're going to get @Beachbug ! The gift card should be arriving sometime this week - probably plenty of post-Christmas sales to make that dollar stretch further. Thanks for extending the race!!! I am able to finish now! Registration for Millinocket 2019 is open! Has the final tally for the last team challenge been posted? Best wishes to all the Millinocket racers this weekend! Wish I could be there to cheer and celebrate. Sounds like fun to connect with other virtuals. Good job as well to all who participated in this fall challenge. Thank you @bgizzi - can use all the best wishes to keep us warm! And thanks for being part of Team #lobster. About to tally up the semifinal results, #moose vs. #lobster. May be the best animal win! Pardon typo. Make that, "May the best animal win!" Half marathon bib # 118. Just got the email. BTW...a buddy has asked me to help him break 2:00 for the half. If anyone wants to come along please do. Weather predicted to be brutal so no guarantees. I will be looking for you! Don't think I will break 2 on this one, cold air is going to slow me down. But, hope to be in just over. My number is 389! @KDW 👍. See you tomorrow! I'm a bit concerned about it as well...but we'll get it done. No frostbite though...if we have to stop to warm up I'm not gonna rule it out. Just featured latest virtual race map with all those in or near Millinocket, in the Facebook group page. https://www.facebook.com/gr... Hope to see as many virtual racers as possible in Millinocket next Saturday! Will be uploading a virtual race bib to the Facebook group page for those who dare to wear it and reveal themselves in Millinocket. One version of the virtual race bib will have a #lobster, another a #moose and maybe there will be one with both a #lobster and #moose! It will be close but I might make it virtually to Millinocket by Saturday! To benefit the Millinocket Historical Society! @Lishie - actually, this race is extended through at least Dec. 31 (but will be sending medals out to everyone after Dec. 8). Hope you feel better - and if you want to join us at the virtual race meet-up at the Sawmill at 5:30 on Dec. 8, can even give you your medal then. Round #4 spreadsheet is up on the Facebook group page, and #lobster is ahead, 202.2 miles to #moose miles of 183.6. That's as of noon today. If anyone wants optional team gear to be picked up in Millinocket next Saturday, let me know by noon tomorrow, so that the custom medal can be delivered in time. I already have on order the optional team medals for @Mamaof7Dogs @JillMarie63 and @KDW See Facebook group page here for details: https://www.facebook.com/gr... Will also be announcing meet-up times for next Saturday - it will be a traveling virtual race medal ceremony in various spots in Millinocket, so stay tuned! Hi @Mamaof7Dogs - you have all your miles back to July 20. Sorry didn't see this messsage earlier, but did also respond on Facebook. @Keefa ..haven’t seen you in awhile. Hope all is well! #lobster on a roll - 430.6 miles as of 10 a.m. Thanksgiving Day, to #moose miles of 349.6. Just put the updated team spreadsheets on the group Facebook page: https://www.facebook.com/gr... Happy Thanksgiving all! Round #3 ends Saturday, Nov. 24, and let's see if #lobster can finally win one. Then Round 4 starts Sunday, Nov. 25, and concludes on the day of the real-life Millinocket race. There seems to be a temporary server issue tonight. Have e-mailed racery about it, but they may not get the e-mail until tomorrow. Multiple attempts to post might lead to duplicate entries once server catches up, but I can e-mail to get that fixed if that happens. Also, will be posting spreadsheet update for #lobster vs. #moose tomorrow. Just uploaded photos on the Facebook group page of the optional medals: #MonsterMoose #lobstrosity #moose #lobster lobstermoose and MonsterMoose-lobstrosity https://www.facebook.com/gr... You can tag me in the messageboard or in your virtual race entry if you want to order optional medal, and I can e-mail add-on invoice. Postage included, same price of $18 for all versions, double the usual percentage going to charity. Medals ship after Dec. 8, or sooner if already completed 337.8-mile route. Medals can also be picked up during Millinocket Marathon & Half weekend, during virtual race meet-up that will be announced soon. I'd like a moose medal please. @JABandMom - #MonsterMoose (2 moose) as you've done 10 or more miles in 1 day, or just 1 moose? Will e-mail you add-on invoice, and can mail it with your official Acadia to Katahdin Finisher's Medallion. Thanks for being part of the virtual race! @AOMM I'd like one with 2 moose. I will be at Millinocket Marathon & Half and would like to pick it up then. @JillMarie63 - will e-mail you invoice and also let everyone know time and place of virtual race meet-up and medals pick-up. Thanks for being part of the virtual race! @LizInTheWoods - you got it! Will e-mail the invoice and send the #lobstrosity medal along with the official Acadia to Katahdin Finisher's Medallion - now that you just finished. Congratulations! You can keep logging miles through Dec. 8, both for Team #lobster and for extra entries in the gift giveaway. I did meet people at registration last year! Someone else is handling registration this year and I won't be involved. The library is accepting gear for the Hub. I'll check with Matt and see if he could put the shoes to use. I'll get back to you. It seems like they could be used somewhere in town. Thank you for asking! Here's what our Library/Gear Hub Director Matt had to say: "the Katahdin Gear Hub could definitely definitely definitely use bicycle donations and bicycle parts donations!" Bikes are harder to pack than running shoes, lol! Maybe some people have parts to donate? I guess he doesn't have a use for running shoes. Thanks for reaching out! @mak321 - thanks for the update from Matt on the Gear Hub. Will put word out about bike donations, parts, etc. And maybe will look into likely nonprofits in the area who might be looking for running shoe and other similar donations. Open to ideas if you have any! Looking forward to meeting you in real life! #monstermoose Medal for me, please! @KDW - will email invoice and medal will be on its way! Put up the Round #3 roster for #lobster vs. #moose on the Facebook group page. If there's a 2-week personal mileage goal you want to update, or if you want to switch teams, just tag me here or on the Facebook group page, and say what changes you'd like to make. https://www.facebook.com/gr... Also, will be unveiling optional team gear, with special edition for #lobstrosity and MonsterMoose elite club members, later today. Fun! I’d like to drop my goal to 25 please! You got it @KDDID ! And thanks for being part of the fun! Congratulations to Team #moose who won Round #2, 609.4 miles to #lobster 543.1 miles. And congratulations to those who met their 2-week personal mileage goal or made the MonsterMoose or Lobstrosity elite clubs. There's enough time for 2 more rounds between now and Dec. 8, so if #lobster can win the next 2 rounds, it'll be a tie. Otherwise it's a moose stampede. Details in latest Facebook group page post: https://www.facebook.com/gr... Round 3 begins today, Nov. 11, and lasts through Nov. 24. If you were in Round 2, you'll automatically carry over with the same team and personal mileage goal. And if you're not on a team yet, you can tag me here to say which team, and your 2-week mileage goal. Not too late to invite family, friends and running buddies to join the virtual race, as they can backdate miles to July 20, and count the Nov. 11-Nov. 24 toward Round 3. Last call for #lobster and #moose miles for Round #2 of Virtual MDI vs. Virtual Millinocket. #moose is ahead as of 8 a.m. today, 575.8 miles to Lobster's 496.5. See latest spreadsheet at the Facebook group page: https://www.facebook.com/gr... Today, Nov. 10, is end of Round 2, and Round 3 will start the Sunday after Thanksgiving (post-turkey trot) and include the real-life Millinocket Marathon & Half. Stay tuned for details, and optional team gear. As of 9:30 this morning, #moose ahead of #lobster by about 70 miles, mainly as a result of @Dear backdating her #moose miles. Any missing #lobster miles out there? Anyone want to join Lobster or Moose and count Oct. 28-Nov. 10 miles toward the team? See latest spreadsheet on the Facebook group page: https://www.facebook.com/gr... Optional Lobster and Moose team gear, including special edition for elite Lobstrosity and MonsterMoose club members, to be unveiled soon. Stay tuned! #lobster is ahead of this morning - 202.3 miles to 176.3. Just put the latest #lobster vs. #moose spreadsheet up on the Facebook group page: https://www.facebook.com/gr... If any miles missing, or you want to add a missing 2-week personal mileage goal, or want to join one or the other of the teams, just tag me here or on Facebook. Make that "as of this morning..."
Hello @GeoJill - welcome to the virtual race! Feel free to ask any questions you may have. And also just wanted to share a couple of sub-challenges we have going on, if any of these interest you: Join either team #lobster or #moose for Round #2, where you set a 2-week personal mileage goal, starting Oct. 28 - if you meet your goal, you get an extra entry in gift giveaways happening after Dec. 8, plus you add to the team total. Another sub-challenge if you're into long runs, hikes or walks and like Stephen King, courtesy of @Ghost - for each day's entry of 10 miles or more, dedicate it to an SK novel (or movie to stretch the rules a little bit). You can backdate miles as far back as July 20, and you can keep logging until Dec. 8. Thanks again for joining. Ready for Round #2 of #lobster vs. #moose, running from Oct. 28-Nov. 10? I put the preliminary team roster on the Facebook group page and below is what I have so far, based on carryover from Round 1 and comments received so far. If you want to change teams or 2-week personal mileage goal, feel free to tag me here or on the Faceboook group page, https://www.facebook.com/gr.... @ZombieChop for lobster at 13.1 miles @Shellperry for lobster at 30 miles @JakeD at 24 for lobster and 24 for moose @CindyLouWho at 26.2 for lobster @LizInTheWoods at 40 for lobster @bgizzi at 36 for lobster @LibertyPenguin at 27.015 miles each for lobster and moose @BigRed68 at 13.1 miles each for lobster and moose @JohnT at 80 miles for lobster @TomZot at 65 miles for lobster @JillMarie63 at 50 for moose @JABandMom at 26.2 for moose @KDW at 50 for moose @Swollenknee at 26.2 for moose @mak321 at 26.2 for moose @Dear at 64 for moose @KPS at 50 for moose. And I'm missing 2-week personal goal miles for the following: @sarahJSG for lobster @FL2ME for lobster @KDDID for lobster @JillinTX for lobster @Mamaof7Dogs mileage to be split 50-50 for lobster and moose @wanderingmaine for moose @Joelle for moose and honorary moose coach Tricia, who needs a virtual race name. Anyone else who wants to join, just tag me here or on Facebook, and say which team and how many miles you aim to run, hike or walk between Oct. 28 and Nov. 10, to qualify for an extra entry in the gift giveaways. May the best team win, whether lobster or moose! @AOMM 30 mile goal for me! Thank you! Hello @lulee @Oz and @Aminer - welcome to the virtual race! Feel free to ask any questions you may have. And also just wanted to share a couple of sub-challenges we have going on, if any of these interest you: Join either team #lobster or #moose for Round #2, where you set a 2-week personal mileage goal, starting Oct. 28 - if you meet your goal, you get an extra entry in gift giveaways happening after Dec. 8, plus you add to the team total. Another sub-challenge if you're into long runs, hikes or walks and like Stephen King, courtesy of @Ghost - for each day's entry of 10 miles or more, dedicate it to an SK novel (or movie to stretch the rules a little bit). You can backdate miles as far back as July 20, and you can keep logging until Dec. 8. Thanks again for joining. Nothing like aiming high and stretching! @KDW - for some reason your name didn't highlight up above, but your miles are being counted for your team, final results being posted soon! Hi, no need to, as I've got you on the #moose roster! Am in the process of finishing the final spreadsheets for Round #1 of #moose vs. #lobster, and will be announcing the winner shortly. Thanks for everyone's patience as I recover from MDI Half, and catch up on some work deadlines. Will be announcing Round 2 shortly! Logging mileage on the app working just fine again! Good wishes to all running MDI tomorrow! i tried being on the #moose millinocket team, but got put on lobster...can anyone help? Just stay on Lobster with us underdogs! @AOMM hello there...just got home a bit ago, from MDI!! so since today is the 14th....all the mileage i gave here was for oct 2 to now. my goal had been minimum 5 miles per day. Hi @wanderingmaine - just reread this, about your goal being minimum 5 miles per day. Was that from Oct. 1-14, or Oct. 2-14, for your daily goal? Just wanted to update the #moose spreadsheet. And would that be the same 2-week goal for Round #2? Good luck to everyone running MDI! If you want to pick up your virtual race medal early, we'll be at Sidestreet Cafe on Sunday soon after 5 p.m. We'll also be putting postcards about the virtual race at the registration table at the pre-race expo, in case you have family or friends who want to run along the route virtually with you! @RaceryLesley and @CaptDave and @LizInTheWoods - glad to hear the bug has been fixed, and OK to log miles again. Still unable to post mileage via the app...says “gateway timeout”. Thanks for the head's up, @LizInTheWoods and @CaptDave. Have let racery know. You can also try logging miles on Web site instead of the app, or using a different device - laptop vs. iPhone vs desktop. I've been using a Microsoft Surface, and haven't had issue.